On September 30, 2013 David Brian Fulcher registered as a Sexual Predator with the Levy County Sheriff’s Office. By Florida law Fulcher is required to notify law enforcement whenever he changes addresses. David Brian Fulcher was convicted in 2001 in Miami-Dade County, Fl for Lewd or lascivious molestation victim under 12 years offender 18 or older; F.S. 800.04(5)(b) (PRINCIPAL) and Sexual Battery by Adult/victim under 12 yoa F.S. 794.011 (2). Fulcher has registered his change in address as: 7091 NW 154 Lane Chiefland, Fl. 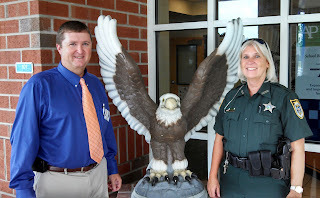 On September 25, 2013 Terry Edwards registered as a Sexual Predator with the Levy County Sheriff’s Office. By Florida law Edwards is required to notify law enforcement whenever he changes addresses. 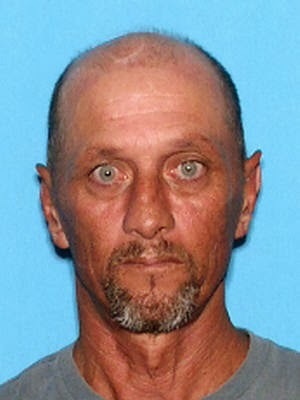 Terry Edwards was convicted in 2001 in Levy County, Fl for Sexual Battery/Physically Helpless Victim FS 7940.11(4)(a) . Edwards has moved from 21161 NE 35 Street Williston, Fl. and has registered his new address as: 3650 NW 105 Street Chiefland, Fl. In August 2013 over 100 pounds of drink can tabs or "Pop Tops" were delivered to the Ronald McDonald House Charities on behalf of Retired Levy County Sheriff's Office School Resource Deputy (SRO) Donna Roe and the Bronson Middle/High School. Before retiring in 2012, SRO Deputy Roe instituted the community service drive at the Bronson Middle/High School wherein students were asked to collect and turn in "Pop Tops" in exchange for community service hours. These hours are needed to fulfill their requirements for the Bright Futures scholarships offered to High School Students. Students collected around 250,000 tabs that weighed in at over 100 pounds. With such an overwhelming response, this program has been adopted by the Williston and Chiefland School Resource Deputies at their schools. The race is on to see which school can collect the most "Pop Tops" for donation to the Ronald McDonald House Charity. The Ronald McDonald House Charity recycles the aluminum “pop tops” and uses the money received to fund their programs, helping families in need. If you would like to participate in the drive just collect your "Pop Tops" and drop them off at your local Levy County High School attention to the SRO. SRO Deputy Roe maintains her Law Enforcement credentials as a reserve Deputy for LCSO and continues to volunteer her time to our schools. 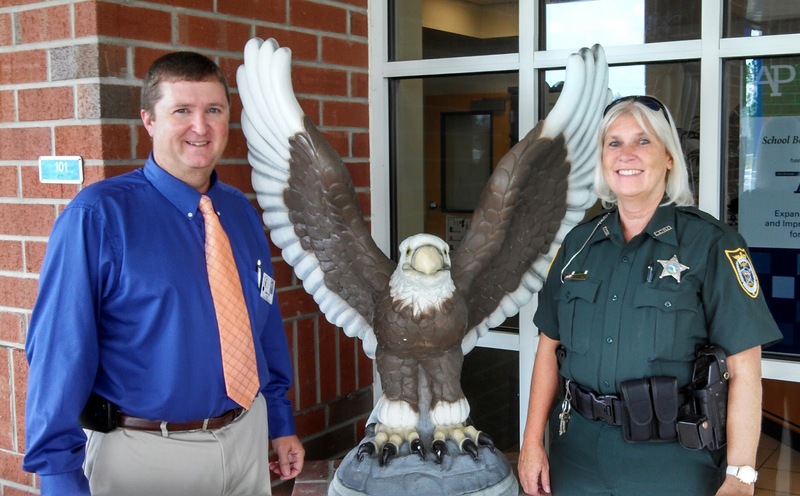 The LCSO and students applaud her innovative ideas and tireless devotion to our community. On Sunday September 1, 2013 Investigators with the Levy County Sheriff’s Office responded to the Emergency Room at a Marion County Hospital. A Citra resident arrived by personal vehicle and checked himself in for treatment for a gunshot wound. 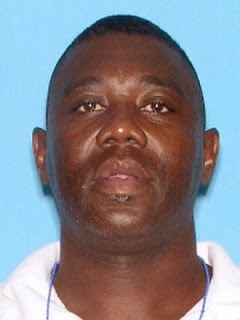 Investigators met and spoke with Michael Sumpter (B/M 11-2-1981). Sumpter told investigators that he had been at a party on NE 212 Court in Williston where he got into an argument with James Wilkerson (B/M 10-27-1976), also from Citra. During the argument Wilkerson, was armed with a small handgun. Wilkerson fired one shot which struck Sumpter in the left foot. Investigators were able to secure an arrest warrant for Wilkerson late Sunday afternoon. The FRFTF (Florida Regional Fugitive Task Force) which is comprised of agents from the United States Marshals Service and local Law Enforcement located Wilkerson early this morning in Alachua County and were able to take him into custody without incident. Wilkerson will be transferred to the Levy County Detention Facility and held on a $200,000 bond.